XtremeDocumentStudio is a next-generation multi-format document-processing framework for VCL and FireMonkey platform. 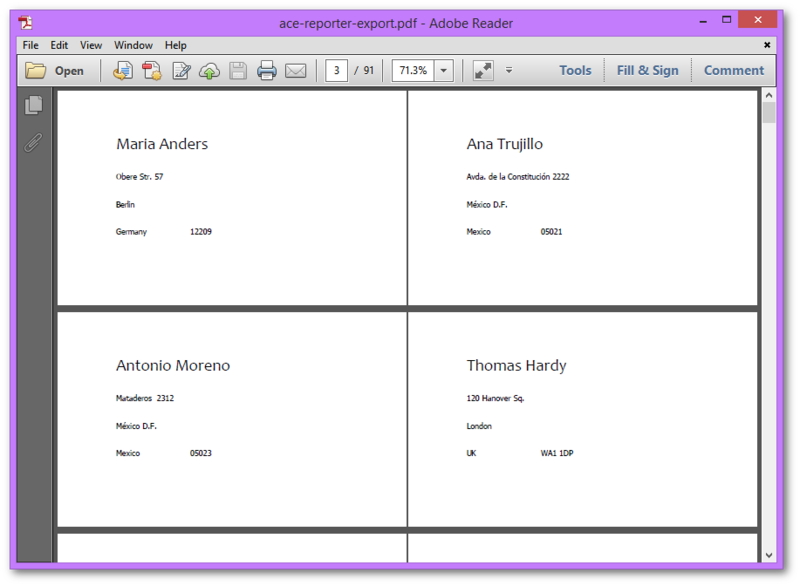 In the latest release, we have added a report-export interface component for ACE Reporter. The new component is called TgtAceExport. You just need to drop it on your ACE Reporter application and the component will take care of automatically interfacing with the ACE Reporter component. 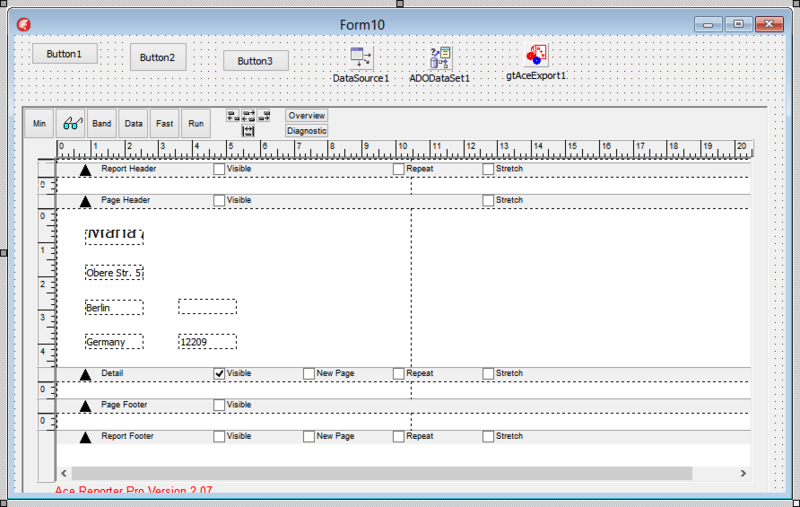 This will add PDF, PDF/A, XLSX, RTF, HTML, text, BMP, PNG, JPEG SVG, TIFF and other formats to which ACE Report can save the report to. This sample application is not much different from the one created earlier in an older eDocEngine article. With XtremeDocumentStudio, it has become much simpler. If your application uses the Ace Viewer, then you don't have to write any new code. The extra "save" options to export the report will be available automatically.